Are you looking for reliable and budget-friendly baggage shipping to Brazil services? Do you need a baggage shipping company that you can trust with your worldly possessions? Anglo Pacific can fulfil your requests with our baggage to Brazil services, whether you are embarking on a once-in-a-lifetime trip, or returning to the UK after some time abroad. We began shipping bags to Brazil from the UK in 1978 and we have advanced our menu of luggage shipping solutions ever since, leading us to earn the top spot as one of the UK’s frontrunners for sending baggage to Brazil. We send over 20,000 consignments each year and a significant portion of these are baggage shipping from the UK to Brazil, it is safe to say our teams know the process inside-out. You can be sure to receive a superior service at a surprising cost when you use Anglo to send a bag to Brazil, but don’t just take our word for it, see what our customers think in our baggage shipping reviews. Sending Baggage to Brazil Made Easy! With Anglo Pacific offices in London, Manchester and Glasgow, it has never been easier to ship luggage to Brazil from mainland UK. Our process is designed to help you send bags, boxes and suitcases to Brazil with minimal effort and zero stress. Simply request your Brazil baggage shipping quote, await your excess baggage to be collected on your chosen date and be ready for delivery of your unaccompanied luggage in Brazil, on a date that suits you. Every Anglo Pacific team member has full training before they take the reins on our luggage to Brazil deliveries and undergoes regular development to ensure our clients receive the best achievable service when they send baggage to Brazil. Embarking on a travelling trip, studying abroad as an exchange student or relocating to Brazil permanently are all instances where you might need to send an excessive amount of luggage, but you don’t want to pay over the odds… this is where our shipping baggage to Brazil services can help. Hauling three extra suitcases and two holdalls on a flight is not only a physical struggle, but extra checked baggage can run up an extortionate bill. A general airline rule is that passengers are permitted one suitcase weighing 30kg – if they are generous. Anything over this 30kg allowance is excess baggage and some airlines charge up to £20 for every extra kilogram; sending baggage to Brazil from the UK with Anglo Pacific will save you lots of money that can be better spent in Brazil. On top of saving yourself potentially hundreds of pounds, lugging many suitcases, rucksacks, bags or holdalls will be an inconvenience on all steps of your journey to Brazil. If you are on a multi-stop trip or want to make travelling simple, you won’t want to carry more suitcases than comfortably possible. Sending luggage to Brazil using a baggage shipping company eliminates these aches, tensions and reduce any time-wasting at luggage drop-offs and collection carousels. So that our customers always receive the best price when sending a bag to Brazil, we don’t like the idea of charging per every kilogram of weight. When you ship bags to Brazil using our services, your possessions are packed into the corresponding sized moving boxes, and each size variant has a fixed price. The transport method you use to send luggage to Brazil is another contributing factor to the overall costs. We use one or a combination of road freight and air freight for our baggage forwarding to Brazil. The method you chose will be largely dependent on your time-frame, budget and end location in Brazil. Sea freight is the cheapest way to ship luggage to Brazil, great for customers on a budget but it will take slightly longer for your bags to reach Brazil. Air freight is the superior choice if you Brazil to receive your extra suitcases in a hurry, but this speedy service means it is the most expensive service for sending baggage to Brazil. We incorporate all of the added extras into our Brazil baggage shipping costs as a thank you to our customers, but to also maintain a hassle-free procedure. 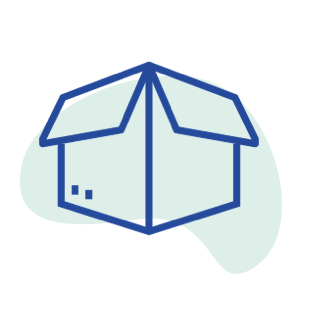 We provide all of the industry-standard packing materials, tea cartons and moving boxes that you need and we collect them directly from your home. In addition to the shipping of your boxes, suitcases and luggage, we will deliver the consignment directly to your door in Brazil, once again. Our specialists complete the mundane tasks involved with shipping luggage to Brazil, such as the organisation of customs clearances and the completion of any necessary documentation. Shipping baggage from the UK to Brazil has never been as reliable as with Anglo Pacific. Our close attention to detail and all-inclusive services leave us a cut above the rest, but don’t just take our word for it… see what our customers think in our baggage shipping to Brazil reviews. For your online baggage shipping to Brazil quote, book your remote survey now and a team member will assess your luggage and provide you with a no-obligation estimate, online.